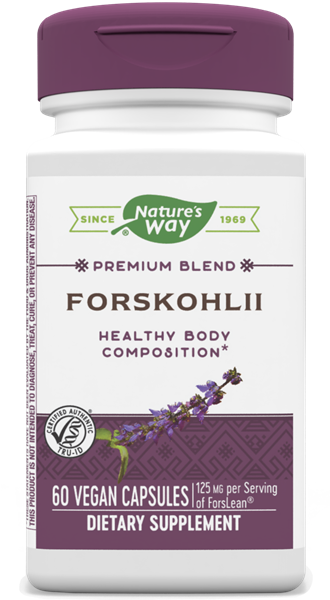 Forskohlii / 60 Vcaps - Nature's Way®. Take 1 capsule twice daily. For best results take before meals. If pregnant, nursing or taking any medications, consult a healthcare professional before use. ForsLean® is a registered trademark of Sabinsa Corporation (U.S. Patent #5,804,596).